It seems like a cropped image directly taken from a tech-fest event "Make from the Scrap", if you please to escalate your imagination following a downward Hierarchy. We know the world is dying from its 'cancerous' Global warming issue and fueling this phenomenon, a poor line of waste management, pollution management, waterbody management are creeping into the core of the global system comprising the ecology, economy, and the society. In this crisis, the international scientific community has ignited a mission to fight the issue with its increasing innovation and development, face to face. As a part of that invisible team effort, a Chinese group of researchers has recently described a way to turn the wastes into energy sources. The group has originated a Potassium ion dependent battery concept out of scrap material, to be specific, rusty stainless steel mesh that they turned into the electrodes, with significant electrochemical properties. As explained in the related publication, the rust is directly converted into a compact layer conforming a grid structure that can conceive potassium ions. Further, a coating of reduced graphite oxide provides the due conductivity and stability during charge/discharge cycles. Possessing high energy density, the Lithium-ion batteries are the most popular choice for the 21st-century environment-friendly portable electronics products. In its charging and discharging cycle, Li ions simply move toward the Graphite electrode, getting stored between the layers of carbon and are released while the discharging cycle takes place. However, Li has a restricted storage and are comparatively expensive. 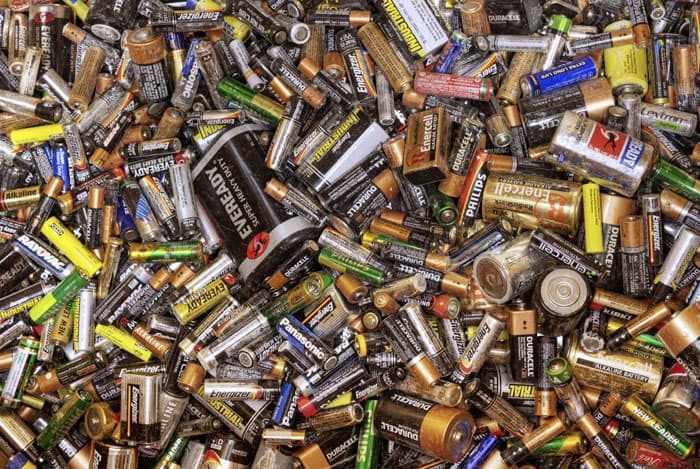 As an alternative, Sodium-ion based batteries have already enjoyed the status. This time, Xin-bo Zhang from the group of researchers affiliated with the Chinese Academy of Sciences and Jilin University (Changchun, China) mentioned that the Potassium shares the equal abundance as Sodium and acts better in terms of electric aspects. However, having a large radius of the potassium ions, the material used in electrodes get destabilized with repeated storage and release. Interestingly, the team has found the solution in rejected stainless steel mesh from filters and sieves. Although the materials sport a rugged and durable design, harsh conditions lead to some corrosion and recycling with reclamation cost more than the desired amount. The team, therefore, propose a more cost effective and ecologically sustainable option by turning the waste products into electrodes. Initially, the corroded mesh is immersed into a solution of potassium ferrocyanide. This dissolves iron, chromium, and nickel ions from the rust layer and combine with ferricyanide ions to form the complex salt known as Prussian blue, a dark blue pigment, unloaded onto the mesh as scaffold-like nanocubes. With the upper mentioned method, Potassium ions can be captured and released from these structures. Further, a dip-coating process is used to deposit a layer of graphene oxide. The layer settles onto the nanocubes. Now, the layer undergoes subsequent reduction and turns into reduced graphene oxide (RGO). This process inhibits clumping and detachment of the active material, strengthening the conductivity. The prototype coin cells made out of the laboratory methods provide outstanding capacity, discharge voltages, rate capability, and noteworthy cycle stability. The complete result has been reported and published in Angewandte Chemie International Edition.